My guest writer today is my son Chris, who I should describe more accurately as an engineer in training. He brings a scientific mind to a study which divides people, the issue of the Calvinist doctrinal system versus the Arminian doctrinal system. He is trying to show here how each of the core beliefs of Calvinism is rooted in the belief which precedes it. To that end it is a systematic theology. Since Arminianism is historically a response to Calvinism, he contrasts each doctrinal element with the corresponding Arminian perspective. For someone not trained in such matters, I personally think he does an amazing job here, even inventing a few new words in the process. In yet another of history’s attempts to diffuse the unending debate between Calvinists and Arminianists, I would like to summarize my experiences with the dispute. This caused me a great deal of grief in my first years of university, and I will be quite happy if I can immunize anyone to the arguing by informing them about it before it becomes a “stumbling block” to them. The different views of non-salvation, a topic people naturally feel strongly about, lead to different descriptions of God’s character: The Arminian describes God as unconditionally loving and with arms always open, constantly wooing people to come home; while the Calvinist may perhaps describe God as a mighty ruler building his kingdom, purposefully and with discernment, to glorify himself. 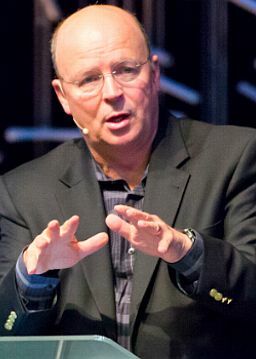 The Arminian’s favorite word is “love,” while the Calvinists’s is “sovereign.” Due to differences in rhetoric, each side believes their favorite to be absent from the other’s theology, creating caricatures of each: Calvinists think Arminians don’t take God’s rule seriously, while Arminians think Calvinists believe God holds humans to be worthless unless useful. Any contestation that develops between the two sides serves to further polarize the rhetoric. Both of these caricatures are sometimes correct: There are people in the church who believe in works-based salvation (whether consciously or not), and there are others therein who think God hates them. The caricatures cause “straw men” in any argument that takes place between Calvinists and Arminianists: The Arminianist thinks he’s arguing about the scope of God’s love, while the Calvinist thinks he’s arguing about the scope of God’s rule, when in fact the two are in agreement about both. The argument typically doesn’t resolve, but is terminated by an exclamation of, “Well, at least we can agree that we’re both saved by grace through the blood of the Lamb!” or something to that effect. Both descriptions of God’s character can be taken too far: God’s love, taken too far, leads to universalism, while God’s sovereignty, taken too far, leads to fatalism. The different views of choice stem from different individual conversion experiences: One Christian, who came slowly to understand and accept God’s work in their past, will find that Calvinism describes the process better; while another, who had salvation explained to them by an existing Christian and then wanted to get in on it, may find that Arminianism describes the process better. Likewise, I imagine there are nonbelievers who have understood and rejected Jesus, and others who die without ever knowing. You will encounter people on both sides who acknowledge the correctness of both — either believing that each correctly describes the same God with different terminology, or believing that they serve as a sort of Yin and Yang that describe God well complementarily but poorly individually — and you will encounter those who adhere fiercely to one and war against the other. Several months ago I spent thirty minutes exploring the blogsphere looking for something profound to write about. Instead my brain started to get dizzy. I made the mistake of searching for the phrase “substitutionary atonement.” That’s a concept that is at the heart of Christian belief, right? Instead, I ended up seeing pages of people spinning their wheels in the type of theological debate that internet readers and bloggers seem to thrive on. Sentences, and paragraphs, and pages and even entire websites devoted to the nuances of doctrine. Great stuff if you’re working on a Master of Divinity degree. Not so great if you’re a guy or a girl simply on the journey of being a Christ-follower. Bottom line, “substitutionary atonement” simply means that “someone else took my punishment,” or “someone else paid my debt.” It’s about the transference of the penalty for our sin to someone else, or more accurately, Someone Else. At this stage in my life, my understanding of this is best clarified by a comparison to the animal sacrifices taking place in Leviticus. (And there are a lot of them taking place there.) My view is best informed by people like Rob Bell www.marshill.org and a Canadian, Joe Amaral www.firstcentury.tv and others (like Ray Vanderlaan) who have provided lots of OT context for NT doctrine. We carry Joe’s DVDs in our store, and if you’re reading this from farther away, the ones on the Feasts and Hebraic roots are worth ordering directly. (They’re not quality productions, but the content is great.) Some of Rob’s best stuff on this is available on audio from Willow Creek sermons he did there earlier this decade. (Especially an 8-CD set called Rob Bell Teaches at Willow.) You don’t have to understand all of it, but you do have to get the general idea. Basically, the idea is that God wanted His people to ‘feel’ guilt, but to feel it from His perspective also. To see that in order for things to be made right, there has to be a price paid. The death of the animal sacrificed was a reminder of that. Its pain and suffering. Its vivid demonstration that sin leads to death. The cost. The loss. To foreshadow that perfect sacrifice that was to follow. But an online lookup of “substitutionary atonement” is likely to scare many away. It’s a couple of fancy words that takes something really simple, and makes it sound so complicated. Like taking Christ’s teaching and trying to make a religion out of them. With my heart longing today to share something more simple, more elementary, I’m drawn back to something I use a lot with people, a simple spelling test. All the theological debates on the internet won’t help you understand it. It has to do with the both the grace of God and the wrath of God. It has to do with God’s justice and God’s mercy. It is truly mysterious. What matters is that know that you’ve been a partaker of it. A receiver of it. That you know it’s yours. So go ahead and Google “substitutionary atonement” and allow the concepts discussed to cause your head to swim; but at the end of the day know that the concept of God’s forgiveness and the act of Christ’s death on Calvary is intended to be simple enough that a child can understand it. Then, come as a child.